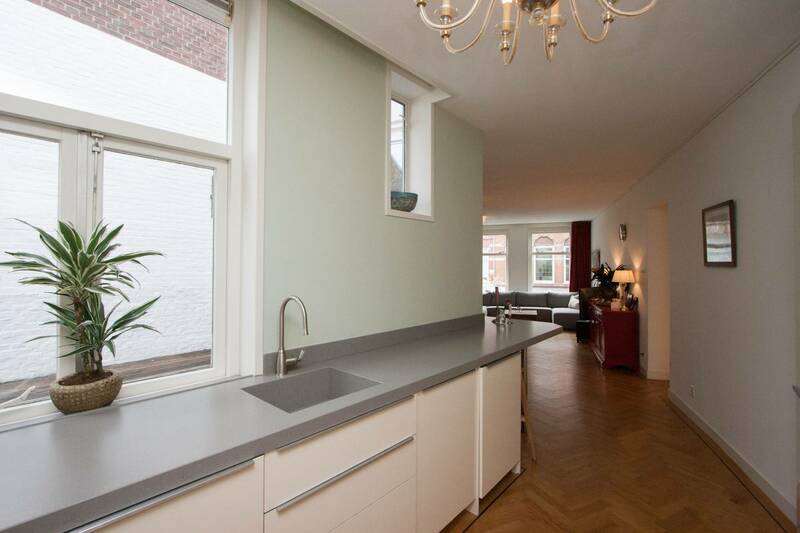 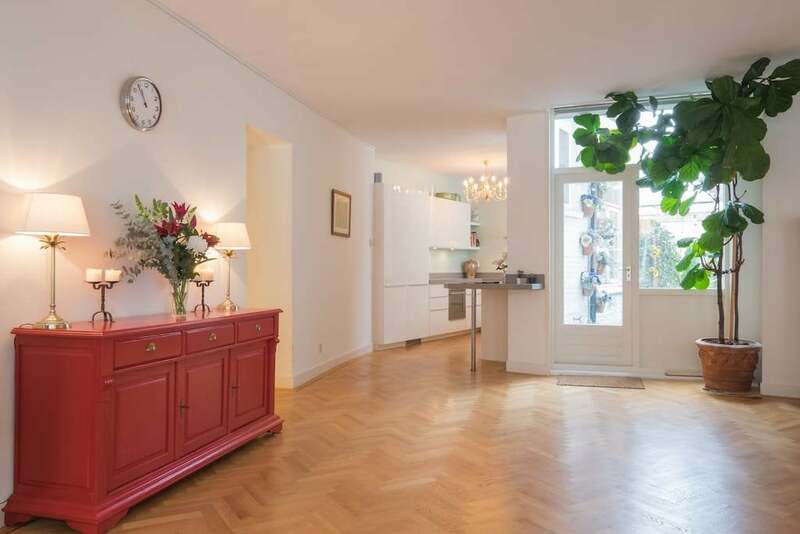 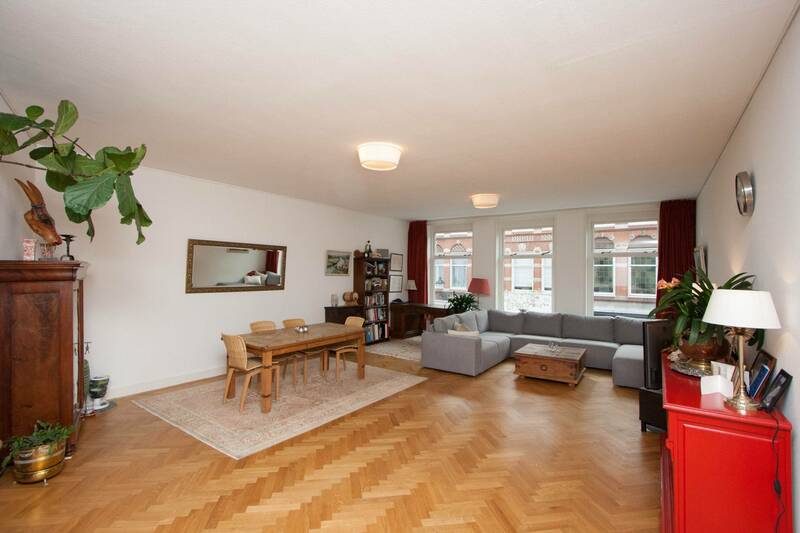 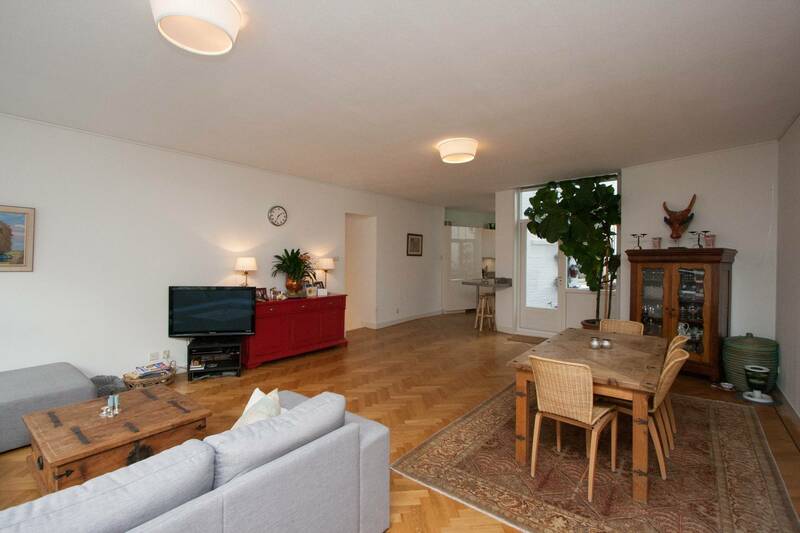 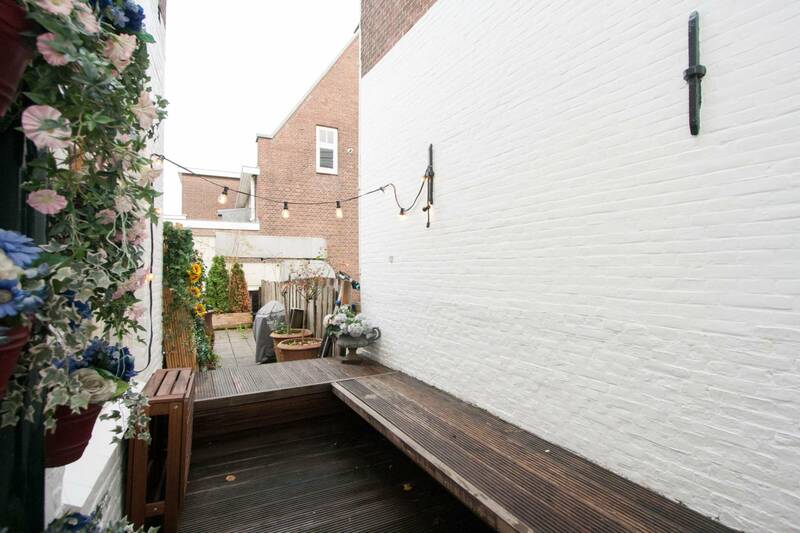 Spectacular and spacious 2-bedroom apartment on the first floor with roof terrace at the Prinsestraat. 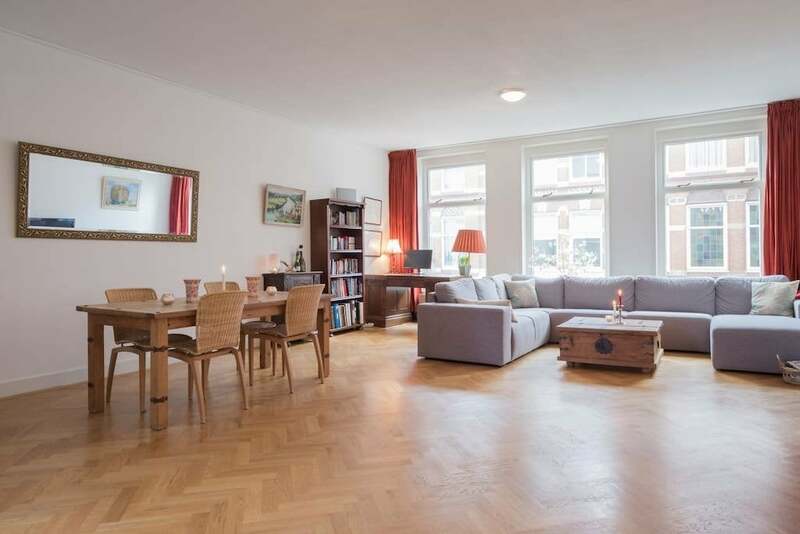 This design and well-maintained apartment of approximately 113m2 comes completely furnished and equipped. 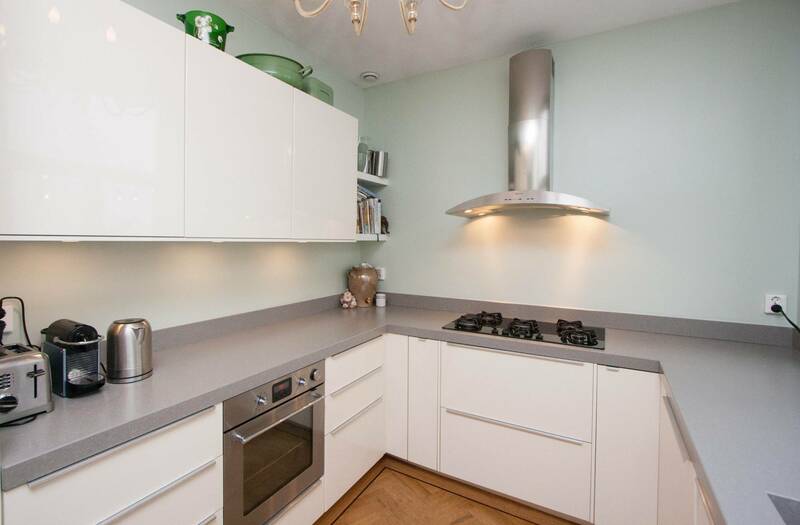 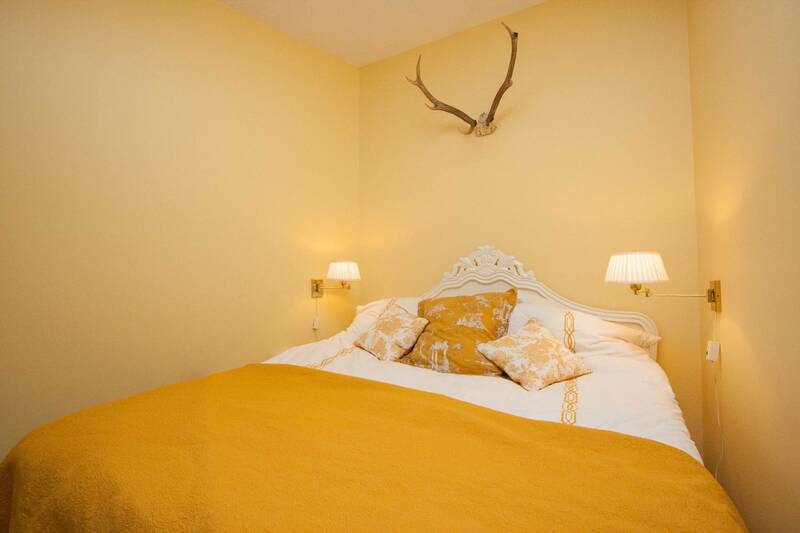 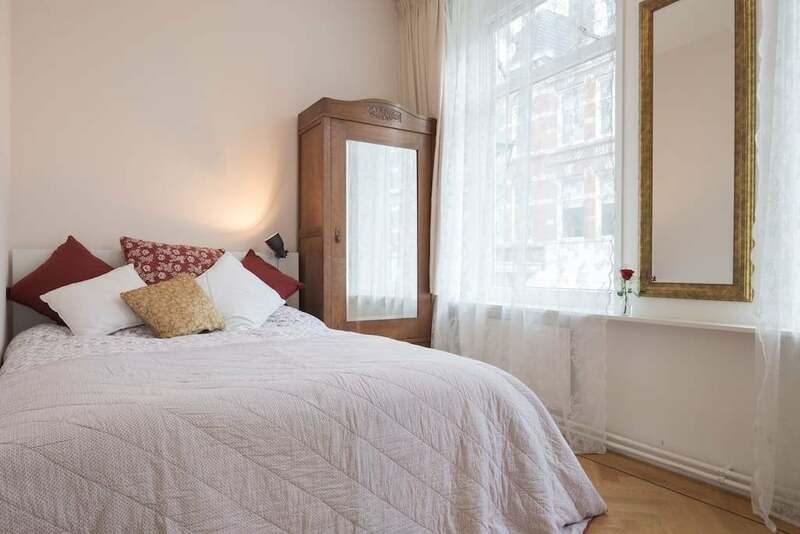 In 2014 fully refurbished, including traditional oak parquet (herringbone) flooring across the entire apartment, new doors and paintwork. 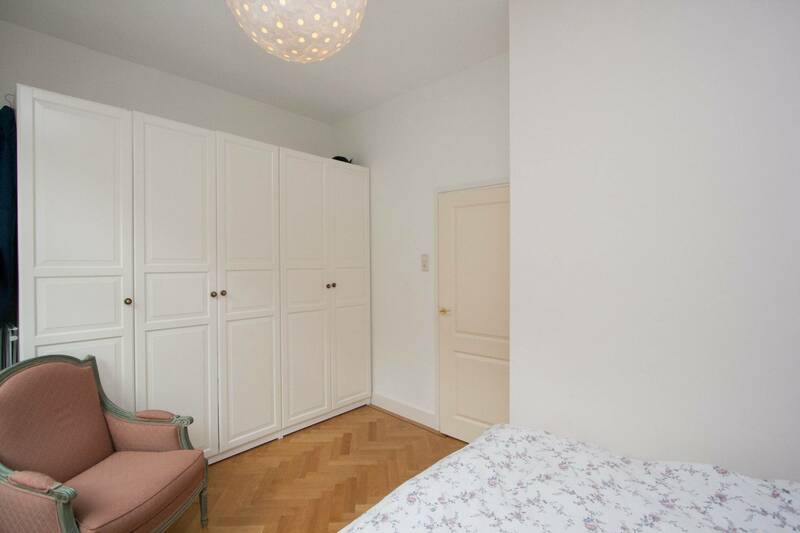 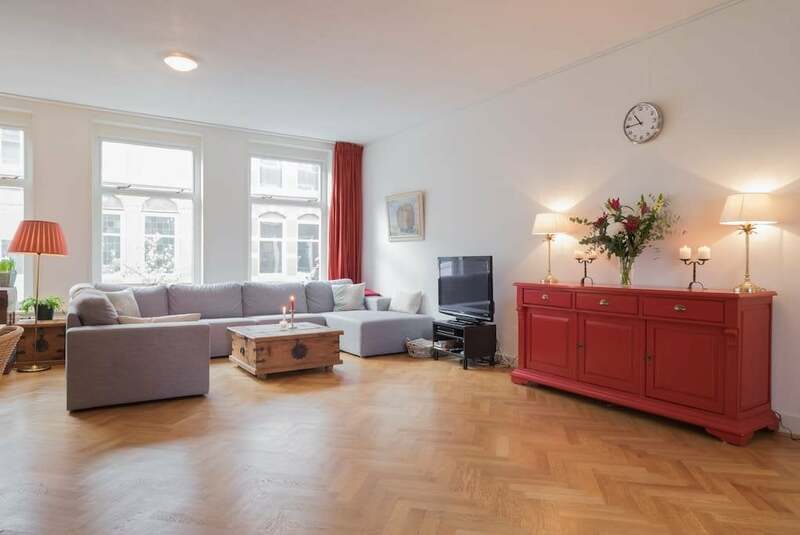 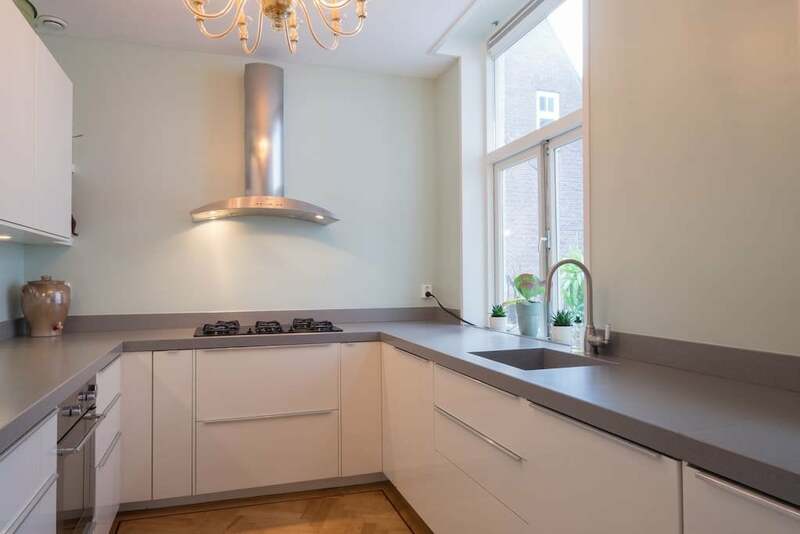 Prinsestraat is a great location in one of the finest streets of the centre near shops, restaurants, public transport, highway and train station. 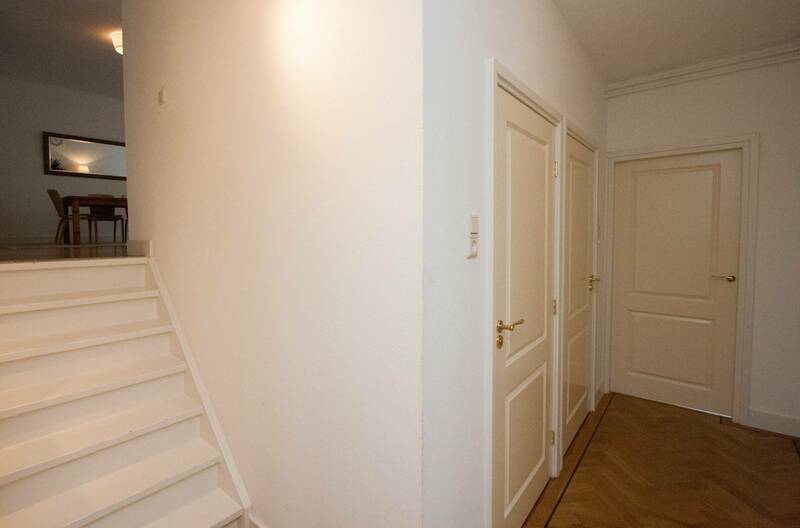 Entrance on the ground floor, stairs to first floor. 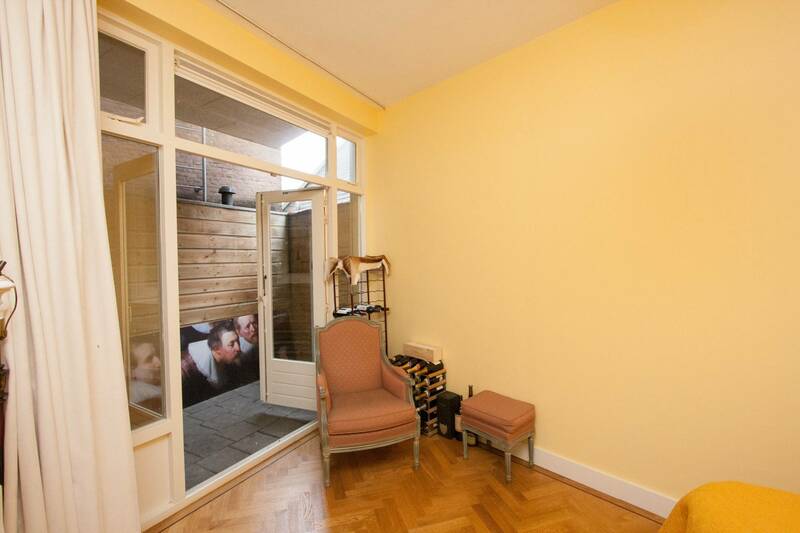 Entrance to the apartment gives access to the hallway. 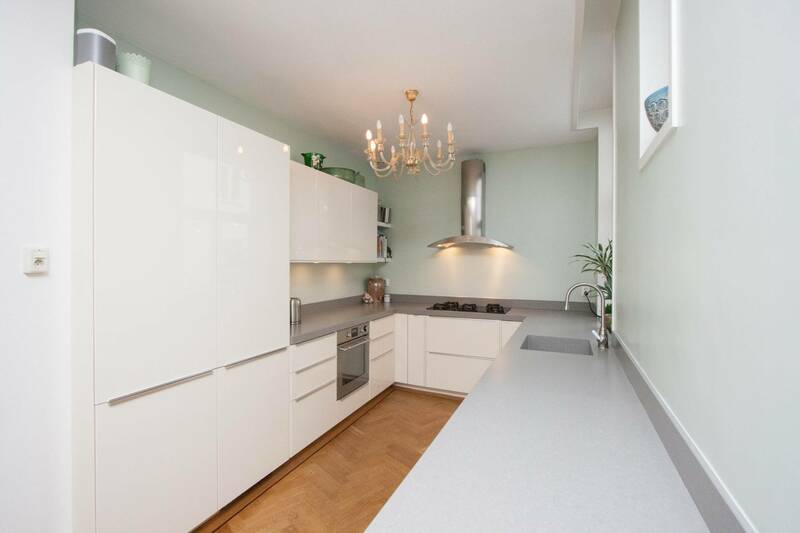 The open plan living room and kitchen provide access to the outdoor patio with wooden decking and flooring excellent for outdoor dining in the summer and general convenience. 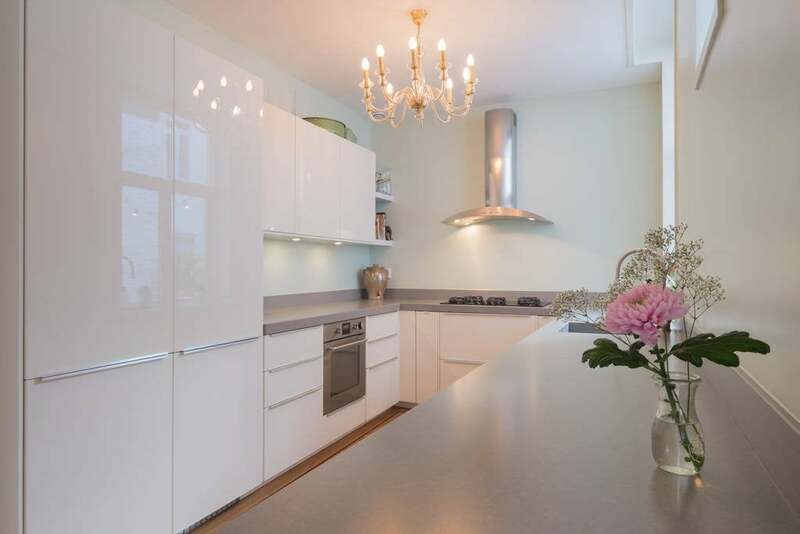 The newly renovated, design kitchen has a beautiful stone counter, and all high-end appliances, including built-in dishwasher, washing machine, dryer, microwave, oven, gas stove and fridge/freezer. 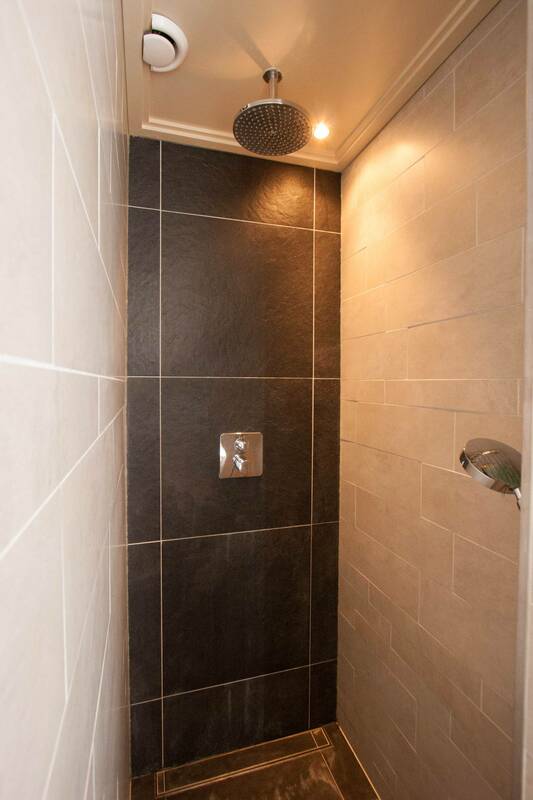 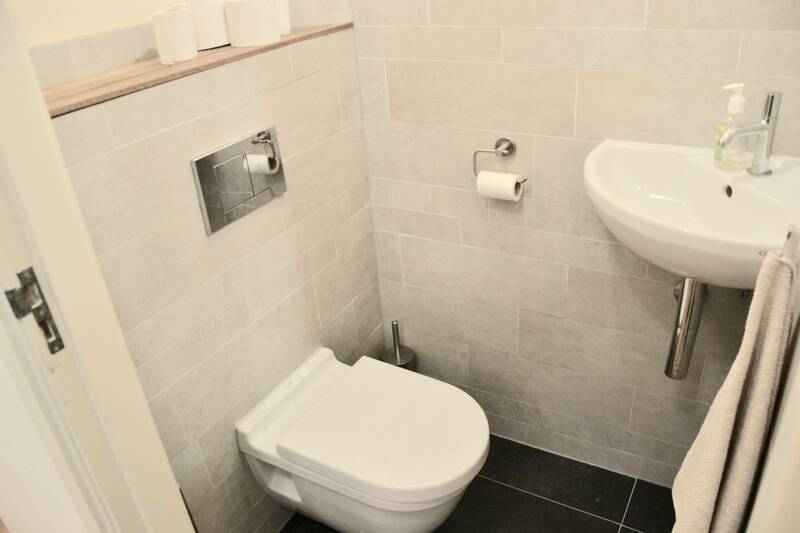 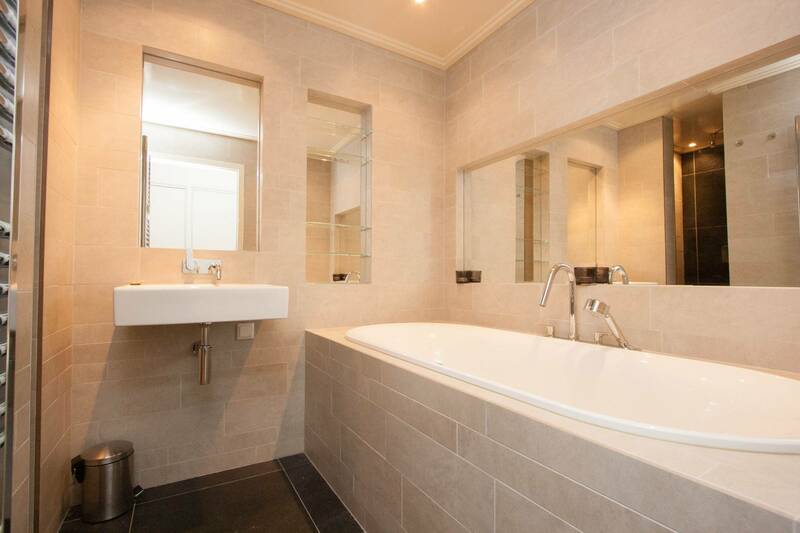 The designer bathroom featuring Villeroy & Boch, offers a luxurious walk-in rain shower, stone tiled flooring, deep bath, and a separate toilet. 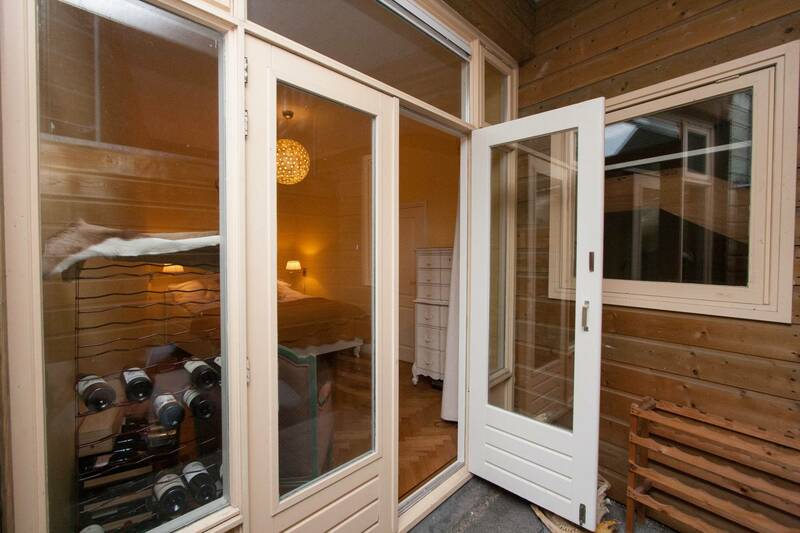 Two decent sized bedrooms, including one with a second outdoor balcony. 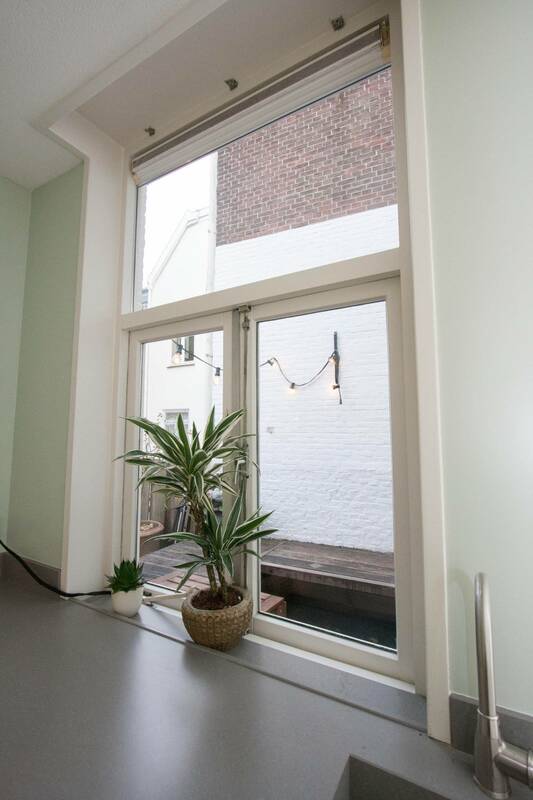 The whole apartment is fitted with double glazed windows and design elements. 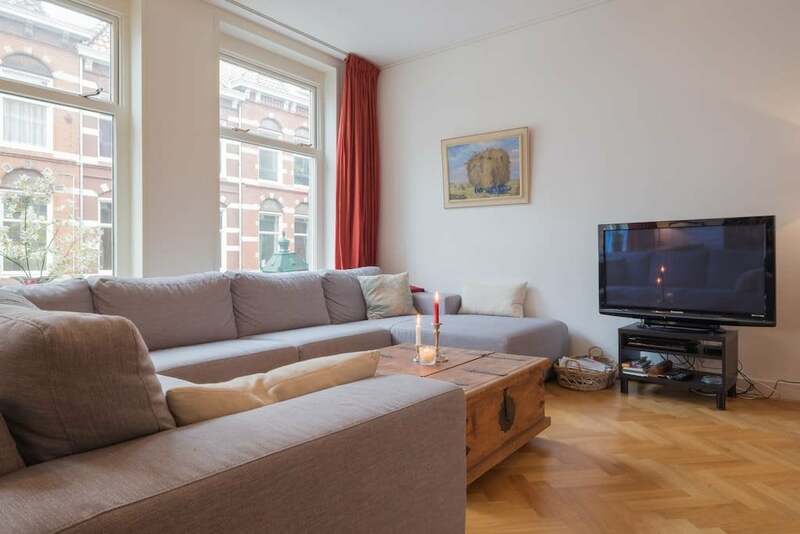 The apartment is centrally located at the Prinsestraat, which is in the heart of the city centre of The Hague. 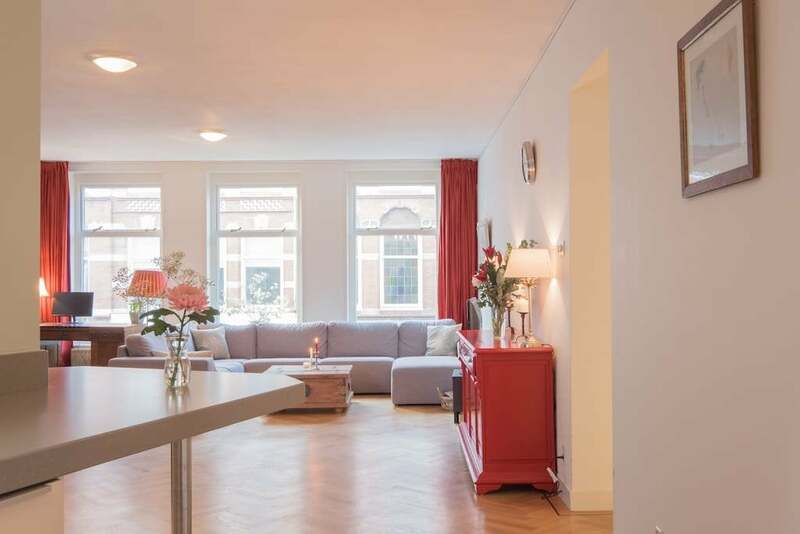 5 minutes bike-ride to Central Station. 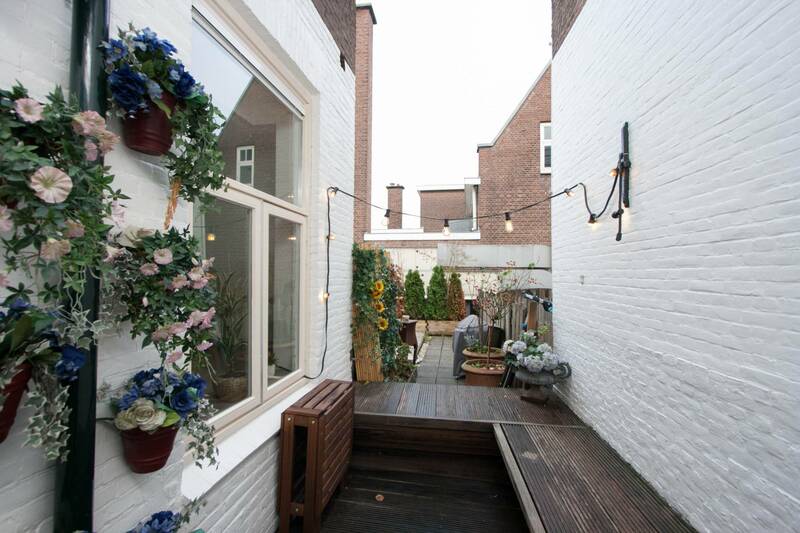 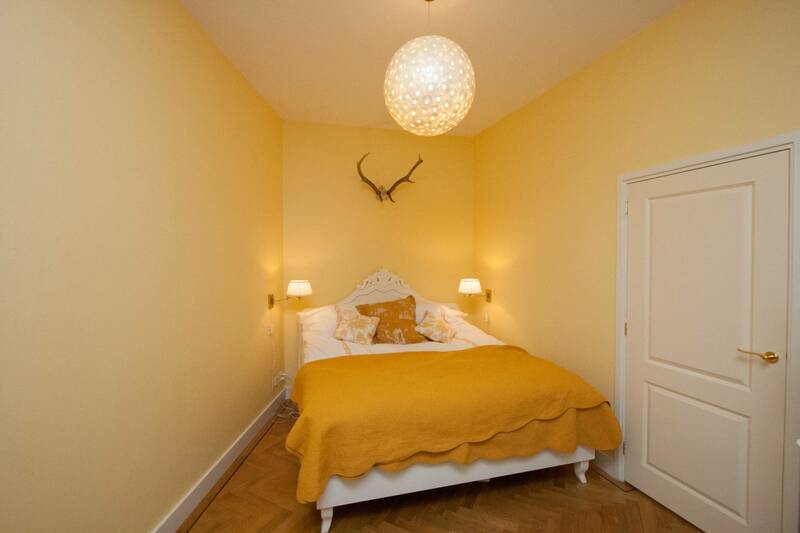 Located next to the popular Grote Markt and close to the Palace Gardens, a lovely location for a stroll on a sunny day. 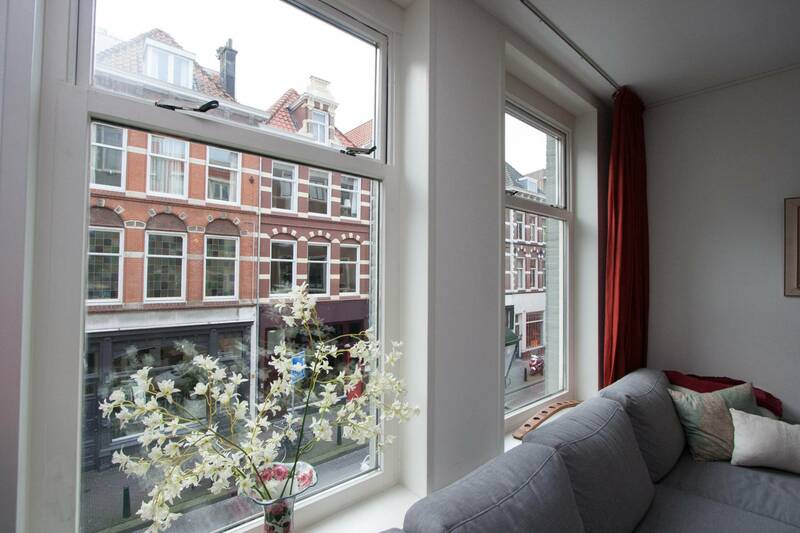 Shops, restaurants and cafes are within walking distance as well as public transport (in front of the building). 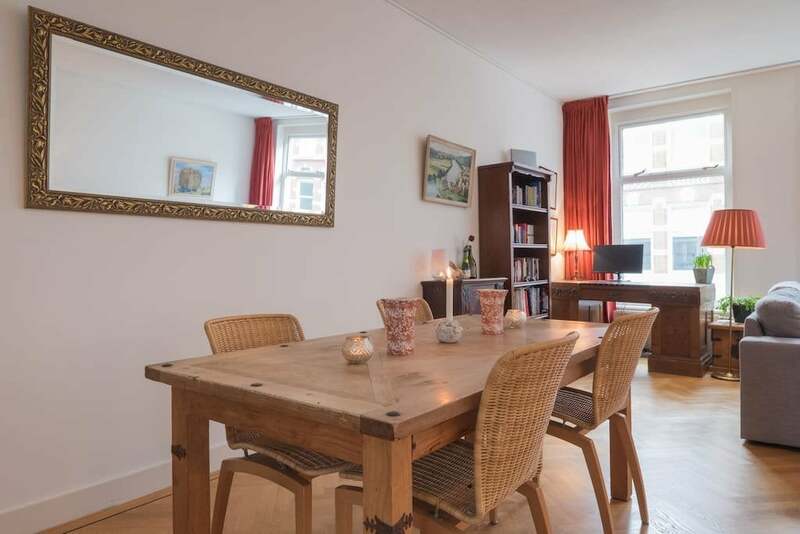 Located next to the popular Grote Markt and close to the Palace Gardens, a lovely location for a stroll on a sunny day. 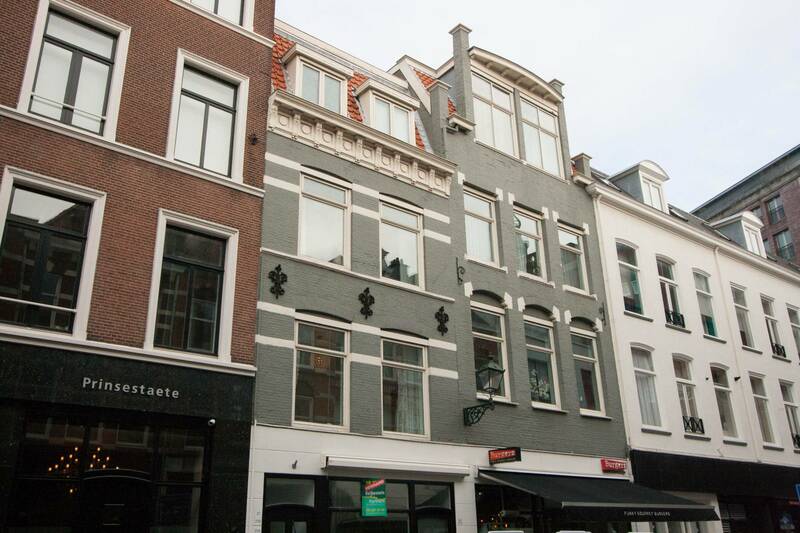 Shops, restaurants and cafes are within walking distance as well as public transport (in front of the building).